Have you ever wondered how each cell of our body reaches its correct place? It is even more astounding when you realize that our body is formed from only two cells that meld their genetic heritage and eventually result in an estimated 37.2 trillion cells, each of them finding their proper position to carry out their functions. We can try to answer this question by scaling it down to the brain, one of the most intricate organs of our body. Over the past few decades, several research groups have studied how neurons are born, how they reach their position, and how they connect with each other. After their birth from progenitor cells (i.e. cells with the capacity to give rise to different restricted types of cells, in this case neurons and astrocytes), neurons first need to find their correct place to settle down. Based on their place of birth and their final intended destination, they will take advantage of different means of transport, following different routes to get to the structure they are destined to, in a process called neuronal migration. This developmental process represents a critical “sliding door”, where decisions taken at each step determine the destiny of these cells, hence of the entire brain. This developmental process represents a critical “sliding door”, where decisions taken at each step determine the destiny of these cells, hence of the entire brain. The mammalian neocortex is the outermost shell and one of the most complex structures of the brain, where higher cognitive functions find their seat. It is made up of several different groups of cells, including two different types of neurons. The most abundant type of neurons in the neocortex are the excitatory neurons, whose main job is to get in touch with and activate other neurons, enabling them to transmit the information they are carrying. The neuronal migration of excitatory neurons has been extensively studied. To help us understand this process, imagine that an employee needs to catch his train to get to his workplace on time and perform his daily tasks. In the case of neuronal migration, our employee represents the newborn excitatory neuron, and the train it needs to catch is called radial glia, which is leading the neuron to its proper workplace. Radial glia cells reside at the base of the developing neocortex, in a specific area where neurons are born, called the ventricular zone. They extend a fiber up to the surface of the developing neocortex, and excitatory newborn neurons climb along this scaffolding fiber, which acts as a railway, until its end. Thus, migrating neurons travel across pre-positioned neurons, reach the tip of the radial glia fiber, and detach in order to pile up on top of already migrated and positioned neurons. This process is relatively easy to visualize in rodents nowadays: we can record time-lapse videos of newborn neurons in the ventricular zone under standard microscopes and track all their movements while climbing the radial glia fiber. The ascension of neurons is also controlled by several molecules and signals coming from the surrounding environment. Recent studies have also unveiled that migrating neurons are able to perceive not only molecular cues, but also electrical signals coming from neighboring cells that instruct them whether to stop or continue their journey. What if a neuron does not reach its correct place? Let’s return to the analogy of our employee and imagine that he is jumping on the wrong train and ends up in a different place. Errors during the migration process can result in permanently displaced neurons, a feature underlying several neurodevelopmental disorders, such as schizophrenia and lissencephaly. Lissencephaly, for instance, is a typical feature of patients with mutations of Reelin. Reelin acts as a terminus of the journey, such that the presence of this attractive molecule causes migrating neurons to detach from the radial glia fiber. When Reelin is not functioning properly, migrating neurons are not able to sense this attraction and they halt their movement and do not reach the end of the scaffolding fiber. This mixed-up distribution generates confusion in their future functions. If we think again to the employee who has caught the wrong train, he might still be able to perform the tasks he was supposed to do, but not with the same guidance he was destined to get if he had reached his workplace. The same is true for his productivity, as he won’t be as efficient or reach the whole network of people he was supposed to get in touch with. This is what happens in schizophrenia, where misplaced neurons are very likely not able to receive information they were supposed to receive, resulting in possibly erroneous instructions being sent to the wrong neuronal partners. And what if a neuron does reach its correct place, but at the wrong time? In this case, our employee misses the train he was supposed to take and instead takes the next one, making him late for work. This is similar to what a group of researchers has observed recently by artificially altering the action of a protein named Wnt in rodents. Wnt is important in the very early phases of neuronal migration, acting as a conductor blowing his whistle before the train leaves. Wnt is important in the very early phases of neuronal migration, acting as a conductor blowing his whistle before the train leaves. When researchers inactivated Wnt function during the beginning of migration, neurons reached their intended position after a 24-hour delay in rodents (which corresponds to approximately 3 weeks delay in humans). Imagine if our employee has a very important meeting for his professional future and he misses it because of being late. This might change his career for good! Indeed, this reported delay in migrating neurons was long enough to mess up their future connectivity, which eventually led to those rodents exhibiting autism-like behavior. Altogether, this research tells us that every single step in development is fundamentally important for allowing the next steps to happen properly. Since their birth, neurons stand constantly in front of subsequent sliding doors and keep receiving instructions regarding whether or not to catch the train behind each specific door. When they do not receive appropriate inputs or when they are late to a prearranged appointment, then the consequences might impact not only the success of the following steps, but above all, the future of the entire brain. Do you think scientists will learn how to precisely control cell migration processes? Tell us in the comments! — Written by Iilaria Vitali. Illustrated by Michal Roessler. After getting a B.S. and M.S. 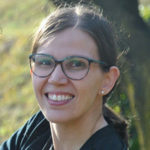 in Biotechnologies in Milan (Italy), Ilaria moved to Switzerland where she got her PhD in Neurosciences at the University of Geneva in 2015, followed up by a short postdoc. During her time in Geneva, she boosted a deep interest for brain development along with genetic and activity-related mechanisms that drive the build-up of the cortex. She is currently working as a postdoc at the Max Planck Institute of Neurobiology in Munich (Germany), where she studies the mechanisms underlining the diversification of inhibitory neurons in the cortex. ← Is Winter Good for Your Neurons?